Insider Tips For Finding Top Quality Made-in-Italy Goods, Handcrafted Items and Designer Labels! Florence shopping is one of the most popular ways to enjoy the city. This too is authentic Florence. And it’s not only tourists…..Florentines are no different, a love of fashion is part of the very essence of living in one of the art capitals of Europe. The idea of ‘Art’ and ‘Shopping’ might seem to be vastly different. In Florence, however, they are linked. Awards are even given each year for the most impressive shop window! It doesn’t matter what you want to buy, this city has it. You DO NOT need to spend lots of money to get great looking stuff. Of course, if what you want is top-of-the-line famous designer goods, there is certainly no shortage of these shops. But if that’s not your ‘thing’ or you just prefer not to dig that deeply into your pocket, you’ll still be able to buy fabulous looking clothes, shoes and accessories of a very good quality. 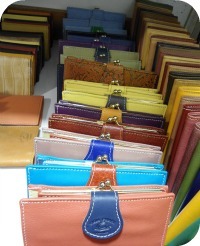 Without a doubt handmade leather goods are one of the most popular items in the Florence shopping scene. The quality of Italian leather and the workmanship that distinguishes it make for what is probably the most sought after made-in-Italy product. With its leather working heritage and tradition, this is the place to buy leather bags, shoes, belts & gloves, wallets and - of course - leather jackets. I often hear Florentines say that artisan crafts such as leather working are dying out and that it's harder and harder to find hand made leather items that are locally made. Fortunately though, this is not entirely true. There are still some choice spots where you can find artisans producing handmade leather bags and goods and even handmade leather shoes. These workshops and artisan shops are perfect shopping spotsfor vacationers who want to see authentic aspects of Florentine life and take home locally produced goods. The largest leather workshop in town where you can see leather goods of the highest quality being produced (and sold!) is the Florence Leather School. During your Florence shopping excursions you won't regret finding the time to visit this Renaissance leather laboratory - it's a gem! Just the fact that you purchase an article of clothing in Italy doesn't necessarily mean that you're buying Italian clothes. Yes - globalization has hit the Florence shopping scene too (did you have any doubts?). If you want to be assured that the clothes you take home are indeed made in Italy, check the label on the inside of the garments. Or...follow my tips about good places to buy Italian clothes in Florence! But what if designer labels are what you're after? Of course, Milan is the fashion capital of Italy. But Florence is a close second when it comes to top brands. The elegance of the designer name flagship stores in and around via Tornabuoni is truly something to behold (this is where you can really see what I mean about 'Art' and 'Shopping' being connected!). Beautiful as these stores may be however, designer name retail stores are probably the most expensive places to shop. Don't worry though - the Florence shopping scene has some great alternatives for buying designer names at more reasonable prices. It might sound like a contradiction in terms, but you can actually find cheap designer clothes in a few places in town. Stockhouses and outlet stores carry a wide assortment of designer names at reduced prices. 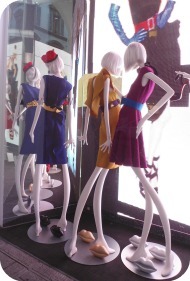 Read here to find out more about cheap designer clothes in Florence. And if you just have to have a designer bag to go with your new designer duds, guess what? 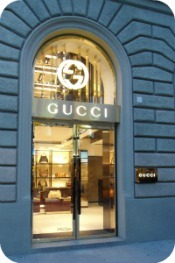 There are also some places to get cheap designer bags in Florence, including cheap Gucci bags! After leather, gold is probably the number one item that vacationers seek out on their Florence shopping trips. Italian gold jewelery has an enviable reputation worldwide, and Tuscany is where a lot of the Italian gold pieces worn by people all over the world were made. Tourists should be careful when buying gold in Florence though, especially on the Ponte Vecchio (even though the Old Bridge is the first place people think of for gold jewelery in town). Since gold is such a precious commodity, a lot of dealers go overboard on prices and it's hard to know what a decent rate should be. 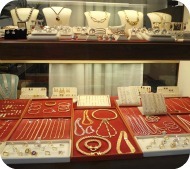 Read about how to know if you're getting a fair price and where to shop for gold jewelery on the Ponte Vecchio. Another very popular item that people love to take home with them are Florentine ceramics. Handmade and delicately hand painted locally, these ceramics generally depict the Tuscan countryside and lifestyle. 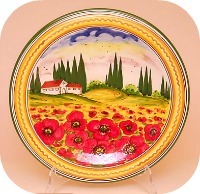 Images typically painted onto Florentine ceramics are sunflowers, red poppies, olives and cypress trees using mostly yellow, green, red and orange shades. Another type of ceramics sought after by visitors interested in Florence Shopping are Deruta ceramics, made in the Umbrian town just across the border from Tuscany. Deruta ceramics tend to use darker colors such as rich reds and blues and often have elaborate geometric or floral patterns. Read about the best shops for Florence and Deruta ceramics. There is no such thing as a Florence mall in the downtown area, although there is one large mall about a 20 minute drive from the main city called 'I Gigli'. Most people when referring to a Florence mall are talking about the outlet village called The Mall. The Mall is a shopping center entirely dedicated to designer names where you can save up to 50% off the retail price for brand name clothes, shoes and accessories. Some of the most popular brands sold at The Mall are: Gucci, Pucci, Ferragamo, Armani and Fendi. Read about the Mall and outlet villages for Florence shopping bargains! Outdoor markets are a great way to shop and interact with locals. Florentines love open air markets because they combine two of their favorite activities: strolling outside and shopping! You can really tell how popular outdoor markets are by the sheer number of them in town - there seems to be one in every piazza. I still remember my very first outdoor market experience here, buying a cute top at a stall with all the ladies around me grabbing the merchandise on the table to get first dibs on the nicest stuff, and me trying to understand what everyone was saying. That's what's so great about local markets, you end up chatting with the people around you and Florence shopping can turn into a mini social event. 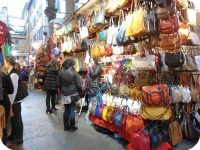 So if you want to shop among the Florentines, have a go at Florence shopping at an outdoor market. 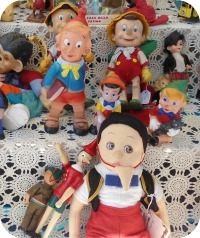 Read here to choose which outdoor markets are for you, and have fun haggling! What are Florence niche shops? These are stores that sell quite particular and even uncommon items not usually found in most shops. Niche shops tend to have a very strong identity and are usually one-of-a-kind. Some niche shops have even been singled out for their longevity and singularity, and are considered 'historical stores' by the city council. Read about some of the niche shops that you might like to check out during your Florence shopping forays!